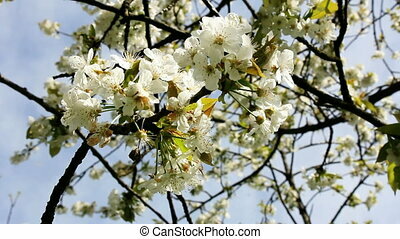 Blossoming cherry branches. 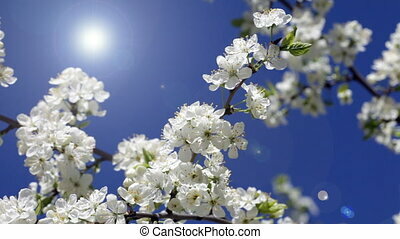 Cherry blossoms in the spring, and blue sky in the background. 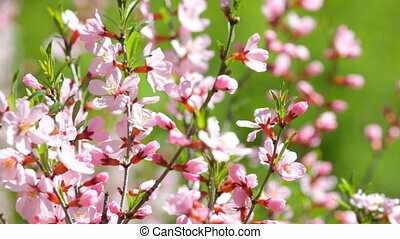 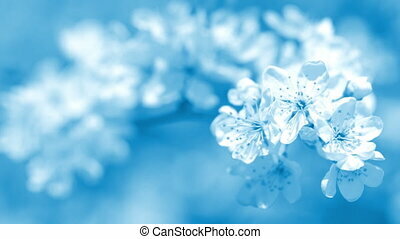 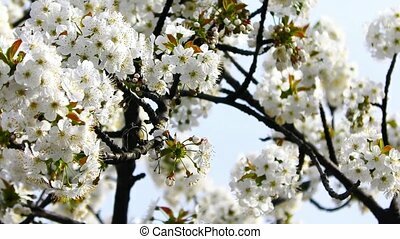 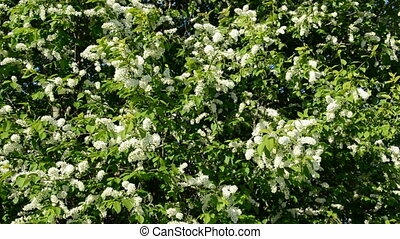 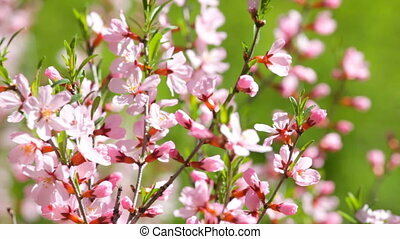 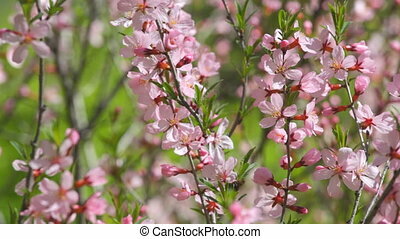 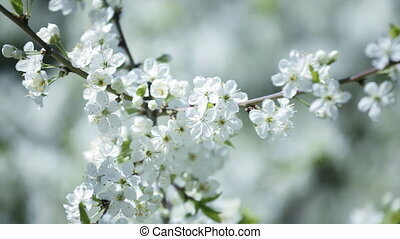 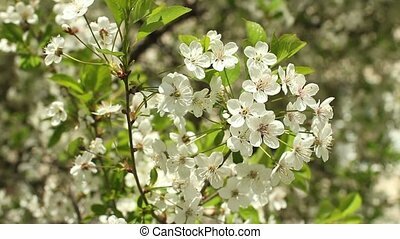 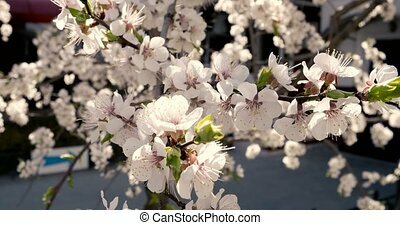 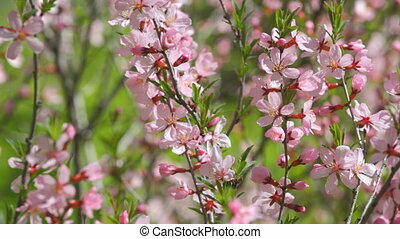 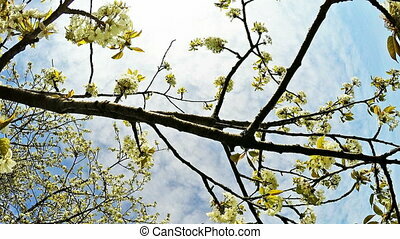 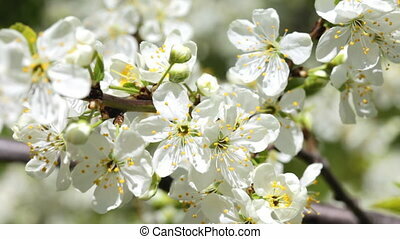 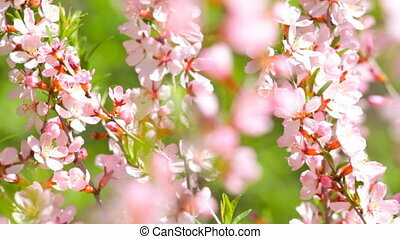 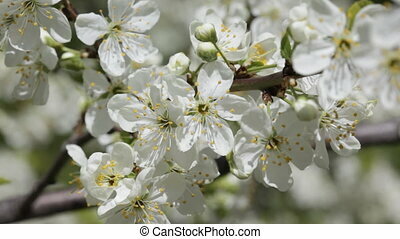 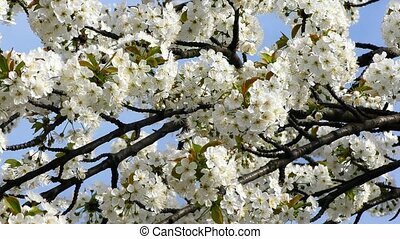 Blossoming cherry branches with flying bees in the spring closeup soft color vintage style grading. 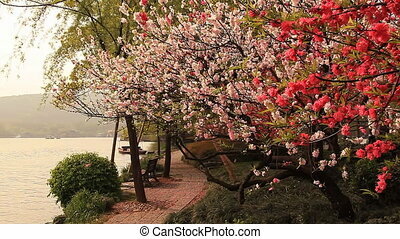 Blossoming cherry in Hangzhou, China.